Hisashi Nogami, producer of Splatoon, was interviewed in last week’s Famitsu. There weren’t any major revelations, but Nogami did share some interesting tidbits. We now have some news about those who have been playing Splatoon online. The ratio between Turf War and Ranked Battle players is roughly fifty-fifty. 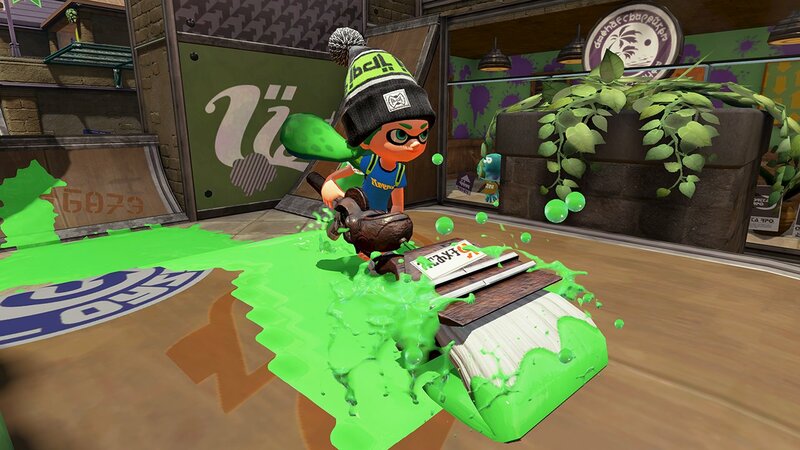 New players tend to concentrate on Turf War while those who have played for long time usually focus on Ranked Battle. The recent update increased point bonuses for Turf War, which perhaps made some people to go back to that mode. Of course, there are also people who have always enjoyed Turf War since launch. The interview also says that there were many players during the end of 2015 and start of 2016, which may have been due to the holidays and start of the new year. The current numbers have dropped off in comparison, but there is still a stable number of players.